Thanks to Carsten, he is a spirit keeping MorphOS era alive by developing Calimero for MorphOS. This is a wordprocessor created by him, which he gives out for free. Eventually in the end, Calimero will be a well done wordprocessor but Distrita have already got hands on version 0.8 of Calimero. 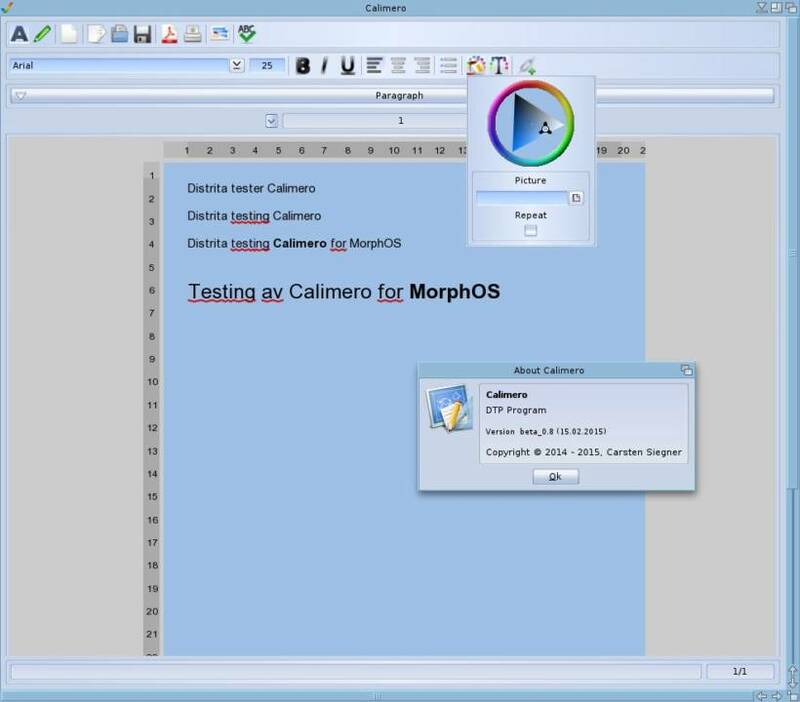 The first look on Calimero for MorphOS is quite interesting. This wordprocessor isnt finished at all, but it got the most basic features already like different fonts, bold, italic and underline choices. You can also change the background of the pages you write on and the text itself. Calimero also supports import of images onto the document and have already a spellchecker which is similar to Windows and OSX spellcheck while typing feature. MorphOS is a small AmigaOS alike operating system with support for Amiga 68k software. MorphOS runs on PowerPC hardware machines like Efika, Pegasos and Pegasos II. It also runs on several Apple Macintosh PowerPC machines with ATI Radeon graphic cards. Please check www.morphos-team.net for updates. Make sure that you bookmark Distrita for more updates on Calimero and other software for MorphOS. We want to cover everything that we can, also minority systems.